If you are looking for the most thorough and cleanest carpet on the Eastern Shore you've come to the right place. 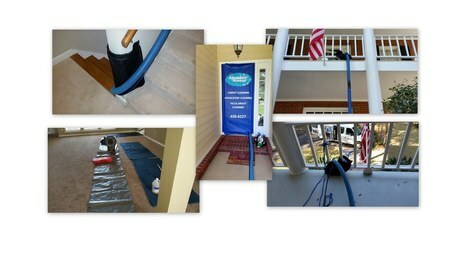 We are licensed, bonded and insured with over 31 years experience in the carpet cleaning industry. Offering both, Truck-Mounted steam cleaning and the VLM (Very Low Moisture) cleaning process. We service the Daphne, Fairhope, Spanish Fort, Robertsdale and the surrounding areas. Absolutely Kleen stands behind our work with a 100% customer satisfaction guarantee on all carpet cleaning provided. We will go a step further and provide a 30 warranty on any returning spots. If you have any reoccurring spots within the 30 days we will clean them free of charge. Pre-treat difficult stains such as pet stains, coffee, blood, ink, etc. ​Would you like to save money on your cleaning? We offer a referral thank you of $25.00 for each client you refer to us that mentions you when scheduling their cleaning. We will extend you a credit of $25.00 towards your next cleaning or send you a check, your choice! Want to have your carpets cleaned but don't want the intrusion of hoses running through your home or the longer dry times associated with hot water extraction? With our VLM cleaning process Absolutely Kleen can clean your carpets and have them back in action in 1 to 2 hours under normal conditions. It's ECO-FRIENDLY safe for people, plants, pets and the planet. What is VLM Cleaning? VLM uses a cleaner that encapsulates soil and dries to a brittle finish where it is then vacuumed away. Ask for it when scheduling your appointment.